Okay in the hunger or poverty meaning of the word starving I am not.. but I think all remotely creative people are starving in some way. We are either starving for attention, inspiration, approval or any number of ways to feed ourselves in order to produce. I am not new to the creative, growing up in music and drama, it has been something normal. One of my favorite presents was a ream of white paper and a set of markers. As I grew older I also enjoyed writing and sometimes poetry. The arts have always been a therapeutic outlet for me. What has been new as it being part of my job. Specifically writing and graphics. It has been a learning year and when I look back at things I produced a year ago it is sometimes hard to look at. I am so thankful I am around people who have let me learn as I go. I am also incredibly thankful for tutorials and training videos. Often I know what I want something to look like, I just don’t know how in the seemingly endless Adobe Creative Suite tools. This past week has had me thinking who I live for. Am I starving for approval, attention, etc? I think you can walk into dangerous territory if you are. If I seek approval from people, I will always come up short. I can’t please everyone. But my simple desire to create something that would either reflect the glory of God or at some point get people to a realization of who He is and really to please God. I already have his approval- paid for long ago. If I am looking for attention I will be hurt when I don’t get recognition. I have the attention of God. If I look for influence and inspiration in places that are not of God, I will come up short. I will be starving if I am apart from God but full and fruitful with Him, seeking his approval, attention and inspiration. So I’m okay. I would change about 12 things about my latest project. There are flaws and errors that probably only me and the 3 graphic designers at our church can see. But I’m learning and it was created to hopefully help people get what they need in a simpler, cleaner and less wasteful fashion. I can’t beat myself up just continue to move forward and pursue wholeheartedly Jesus. In the last few days.. 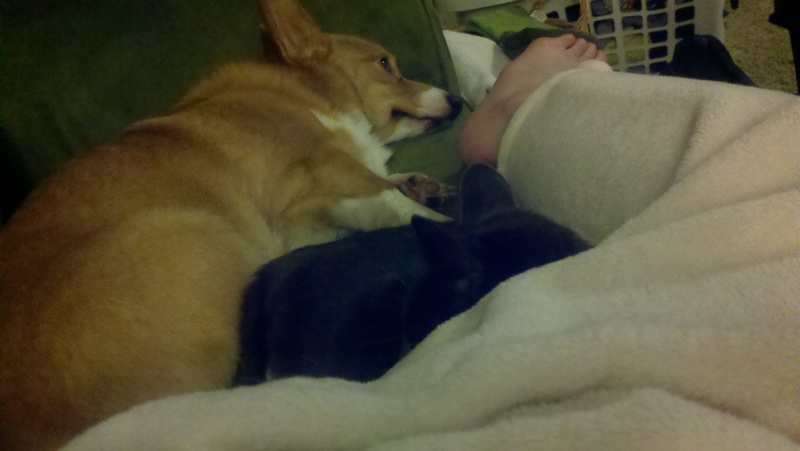 I have had the distinct feeling that my animals would like me to get better, quicker. It might the disdain they are showing me about being really ill since last week. Or the feeling I am taking up their couch. Either way, I have been here a few days and today is the first day that looking at a computer screen or my phone hasn’t made me want to throw up. On Thursday I went to the doctor complaining of a swollen gland.. the aftermath was a mix of sharp implements, varying antibiotics, pain meds and multiple doctor appointments. I’ll spare the details. It also meant sacrificing my trip to Palm Springs (postponing at least). So it really hasn’t been the best week of my life but I am thankful we were able to keep me out of the hospital. Matt has been a great nurse. We might have wanted get a maid or a cook though.. just kidding, he was great and patient. Most of the last few days was spent sleeping. Yesterday the pain started to dissipate and the pain of being still for so long set in so I knew I was getting better. Doctor said I was in the home stretch today and I am thrilled to get off the couch. I am doing a little work from home today and might make it to an hour of High School Service tonight. And on the plus.. I got a heating pad and according to the doctor I have a high pain tolerance.